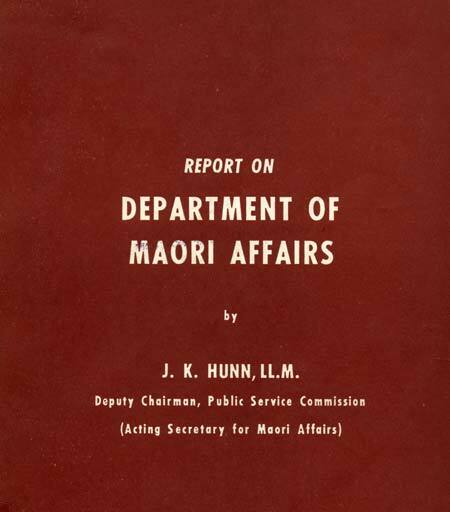 J. K. Hunn’s report on the Department of Māori Affairs was released to the public in 1961. Although it was strictly speaking a review of the department, it made more far-reaching recommendations on social reforms affecting the Māori people. One consequence of the report was that Māori were encouraged to move from rural areas into towns and cities. Reference: J. K. Hunn, Report on Department of Maori Affairs: with statistical supplement, 24 August 1960. Wellington: Government Printer, 1961.